At the heart of the practice of herbal medicine is the understanding that we humans, like all living things, have an extraordinary, in-built, natural intelligence that knows how to self-repair from injury or illness. Healing happens, not because we make it happen, it just happens. Our primary goal is to see and remove whatever may be obstructing that natural intelligence, then use what herbs or whatever else we can to support it to do its job. 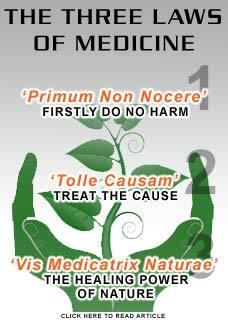 Herbs were our very first medicines. Over countless generations, our ancestors have learned, refined and passed on vital knowledge about which herbs harmed and which herbs helped. 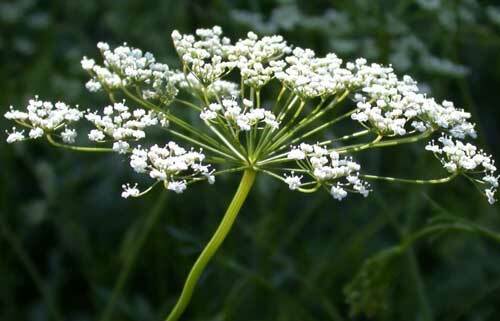 Which remedies reliably eased suffering or helped remove such obstacles to self-repair as infection, inadequate circulation, poor digestion, impaired elimination etc. Those leaves, roots, barks, berries, flowers and fruits that we and other animals instinctively sought out when we were sick have been the subjects of an on-going clinical trial for 'what works' for an unimaginably long time, many tens of thousands of years, it continues to this day. Today, the World Health Organisation recognises that herbs are still, by far, the most widespread form of medicine used on our planet. The great test of time has proven which herbal medicines work, now the tests of science are helping us to understand how they work and in that process, new possibilities are constantly coming to light. Most people do not need to become dependent on pharmaceutical drugs in order to care for themselves or their loved ones. So long as one takes careful steps to ensure the authenticity of the supply, we have better access to more high-quality herbal medicines than at any time in history. Today is an excellent time to study herbal medicines and to learn how to use them wisely. It is also essential to understand that herbs contain complex chemicals that the body does not normally produce by itself, nor obtain from foods. Herbs are natural drugs, the importance of giving the right dosage, not too much, not too little, of the unique chemistry in herbal medicines cannot be overstated. Historically, most herbal medicines were given in the form of teas or decoctions, where the herbs are steeped or simmered in water. Infusions and decoctions are still entirely effective methods to deliver medicinal dose however, these days, most herbalists will also use ml doses of concentrated tinctures and extracts and/or concentrated herbal powders in capsule form. These methods of delivery give precision dosing and greater ease of use to a person who needs to take herbs over any length of time. Qualifications may be a helpful indicator. Many modern herbalists have completed at least several years of undergraduate study and have accumulated valuable knowledge and experience with plant medicines whilst becoming well trained in the art and science of health. However, there are also plenty of handsome pieces of paper, in the form of natural medicine diplomas and degrees that are not backed up by a clinically useful, practical skill-set. Qualifications are, at best. only an indicator, not a guarantee of a good herbalist. They are bound by a code of ethics and a commitment to good practice which they have promised to uphold. If they do something wrong they are answerable to a higher authority. They must accumulate continuing education points each year to remain as full members of their associations. This ensures vital professional development throughout their career. They are exposed to different points of view by being in touch with their colleagues through forums, meetings, conferences, shared publications etc. Location can be very important. Many complex health problems can be greatly helped by a good herbalist, but the journey of healing takes time and it should not be too hard for you to meet with, or at least talk with, your practitioner again after the first visit, which really must be made in person. Every culture around the world has developed its own system and traditions of herbal medicines so, wherever you are, there is an excellent chance that, even if you can't find someone on a directory such as those linked above, you will still be able to find a good herbalist in your area with a little asking around. One approach is to make an enquiry to a midwife in your local community. Most drugs are not suitable for pregnancy and many midwives have a good working knowledge of herbal medicine including knowing who the best herbalists are in their area to refer people to. Another approach is to go to your local fresh-produce or farmer's market because someone who grows and sells herbs for the kitchen will often also have herbs for the medicine cabinet and may know something about this subject, including who are the best, most experienced, herbalists in the area. Experience counts for a great deal in health care. Experienced herbalists will have seen many different kinds of problems and will be very accustomed to working with tricky cases. Don't write them off if they say no, particularly if you have a good feeling about them for other reasons. A good practitioner is always learning and wanting to learn more. By the time you come to your appointment with them, they should have read up or asked around about your condition and will already be thinking about what kinds of options might help. As herbal medicine has become more popular, a number of companies have developed ready-made products that they vigorously market and then convince many practitioners to use instead of the old ways of individual formulae. The hype and pressure are exactly like what drug companies do with Doctors and, aside from being substantially more expensive, their products, lacking individuality, are substantially less effective in practice! Not so long ago, all herbalists obtained, prepared and dispensed herbs in tailor-made formulas for each of their patients. This deep and ancient art requires an individualised approach to each person and many good herbalists keep this tradition alive because it is, without doubt, more effective. This last quality of a good herbalist is probably the most important one of all but may be hard to gauge from a pre-appointment question. Holistic practice is not about trying to do everything. It is about being open to working at whatever level is needed. A good herbalist is not trying to 'fix' people's symptoms with herbs. They can use herbs as tools to support the self-healing process or to help remove what is obstructing it but, when needed, they can give accurate guidance, and will give equal importance to diet, or lifestyle, or matters of the mind and heart. I wish you success in finding a good guide, a good herbalist, and that you journey well back to health.